I know, I KNOW. It’s barely August and here I am talking about the dreaded BTS. But I promise that this will be totally fun and easy, and WILL get you motivated (and *maybe* a little excited??) for the upcoming school year. 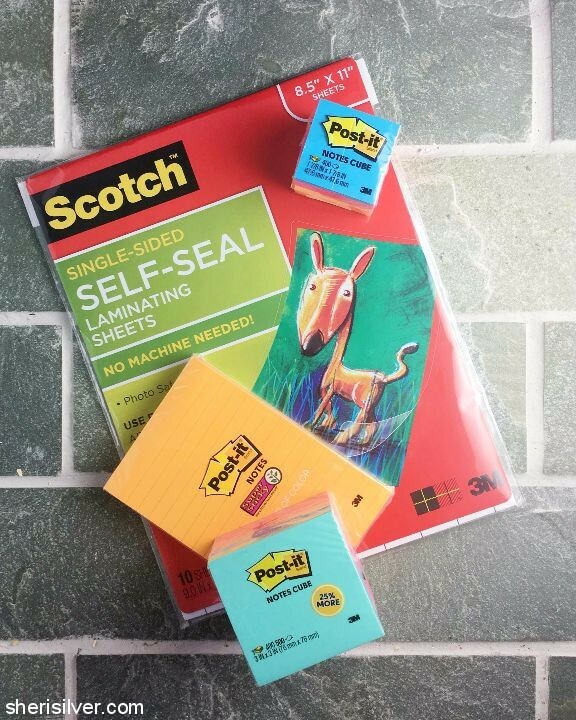 I was thrilled to partner with Post-It® and Scotch™, to create some sweet DIY’s that will inspire and motivate your kids to do and be their best – both at home and at school. I’m a big big list-maker, and I know that those “to-do’s” and goals are much more likely to happen if I put them in writing. In fact, you’re actually 42% more likely to accomplish things if you write them down. 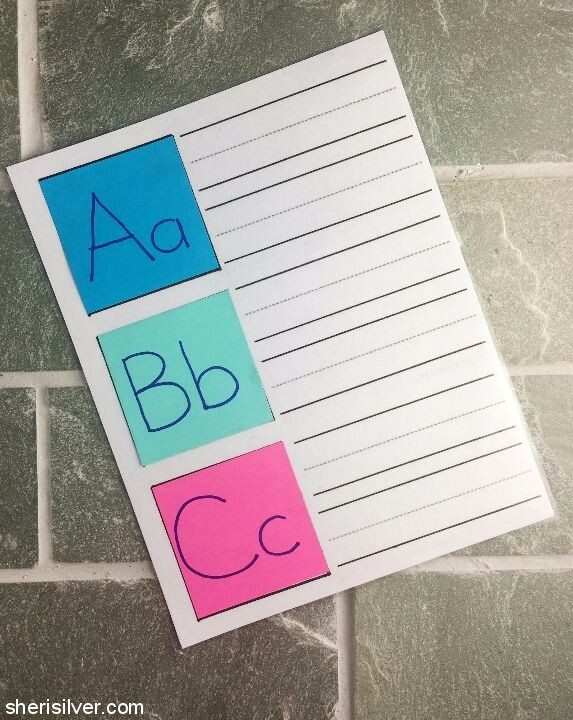 * Using fun and colorful Post-It® products makes doing so just a little more festive! 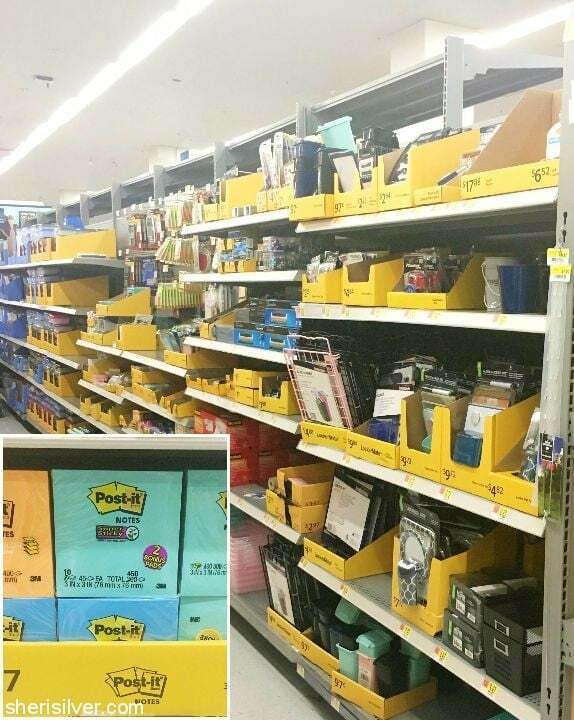 I gathered all my materials at Walmart, where things are in full BTS mode. I did something similar to this when Noah was first learning how to write. You’ll need printer or colored paper, Scotch™ Single-Sided Self-Seal Laminating Sheets and a stack of 3″ x 3″ Post-It®’s. You can make your own worksheets or print these out. 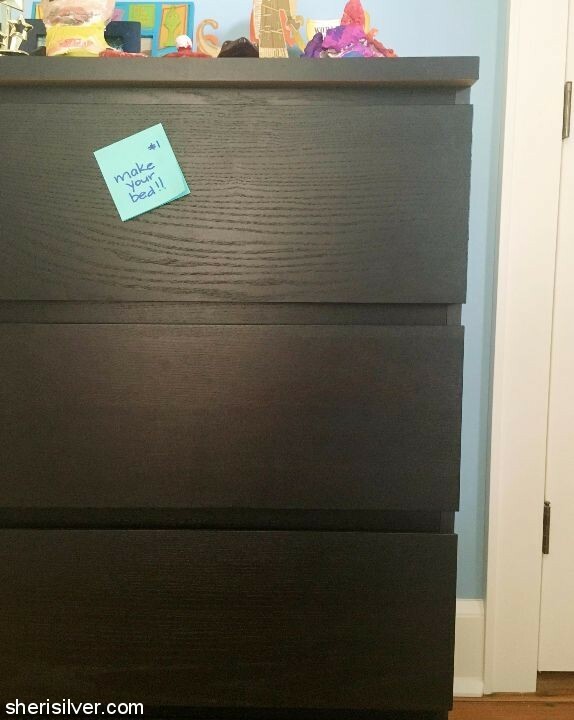 Laminate the paper and add your Post-It®’s. You can easily change out the sheets as your child progresses, and of course adapt for any skill you like – shapes, numbers, multiplication tables, etc. Noah has daily chores, for which he receives allowance each week (you can read more about our allowance philosophy here). But sometimes in the throes of a hectic morning or weeknight rush, he’ll forget (or we’ll forget to remind him). 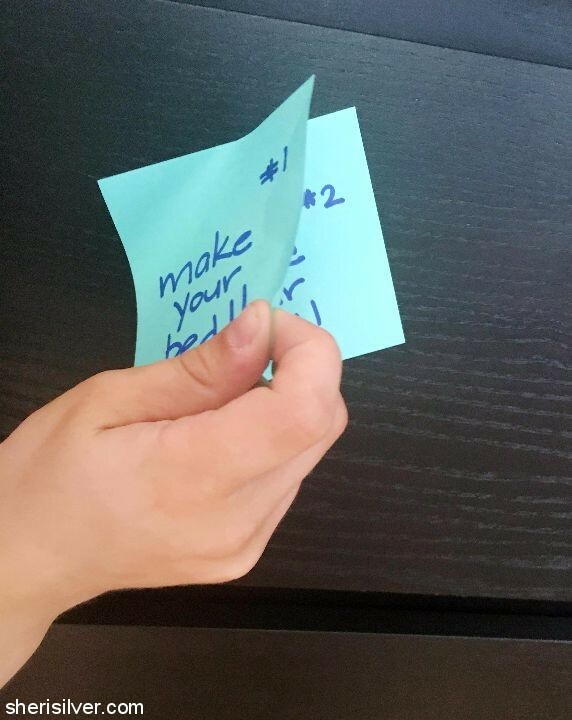 This is easily resolved with strategically placed Post-It®’s – in a stack of 5 or 7, that can be peeled off and handed in as he completes the task, in exchange for a “check mark” toward his weekly goal. And since life is more than just homework and chores, here are two more fun ways to use those colorful stacks. 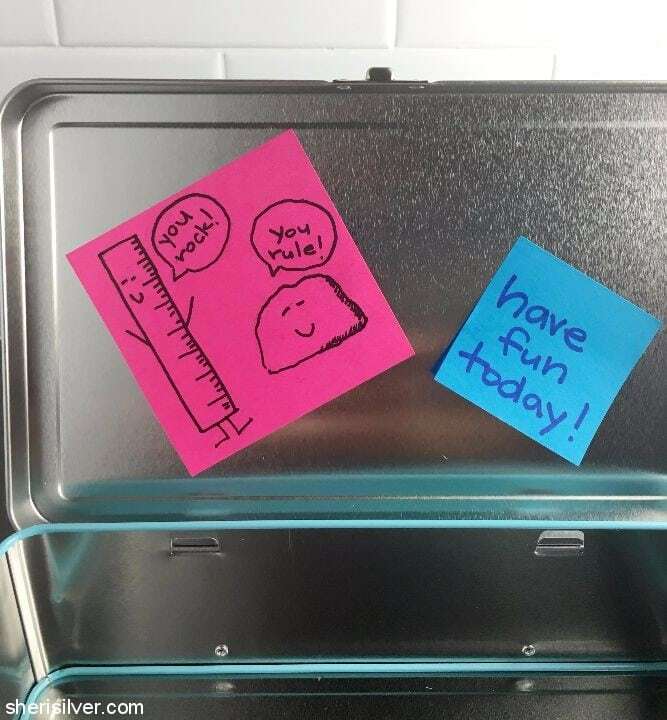 Lunchtime notes stay high and dry when attached to the inner lid of your kid’s lunchbox (corny jokes totally optional). 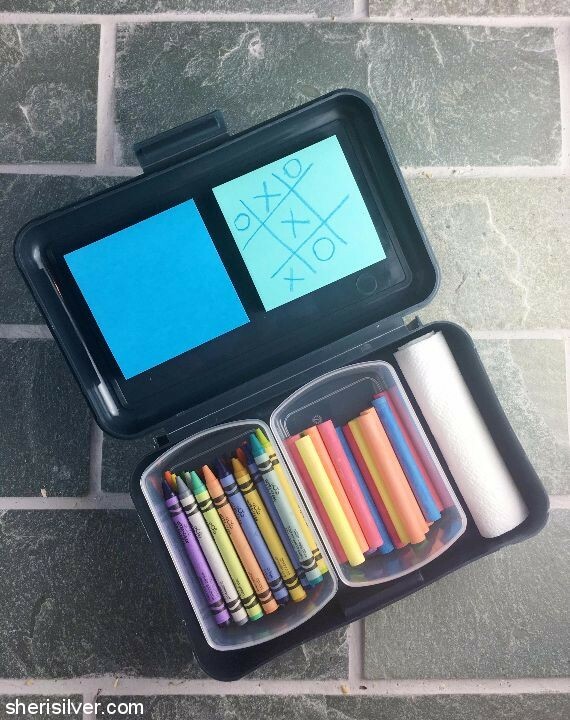 And all you need is some chalkboard paint and double stick tape to take any hinged box and turn it into a handy little art center for car rides, waiting rooms, restaurants, you name it! 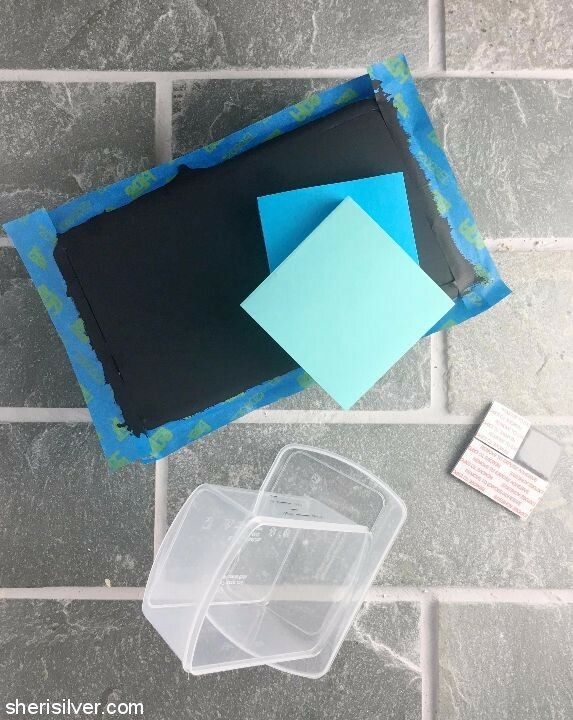 Paint the outer lid of any hinged plastic or metal box with chalkboard paint; let dry. Use double-stick tape or mounting squares to attach two stacks of Post-It®’s to the inside of the lid. 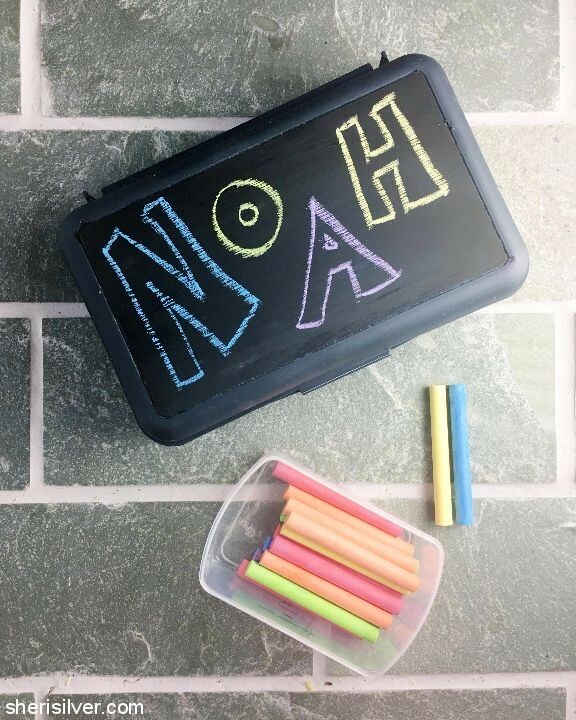 Fill with crayons, chalk and a cloth for cleaning and you are good to go! 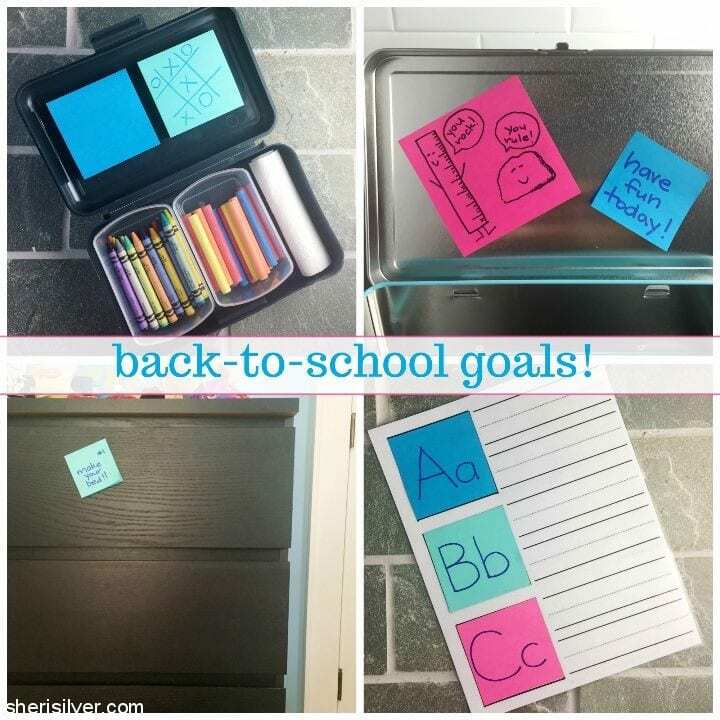 Click here for more Back to School goal ideas, projects and inspiration!